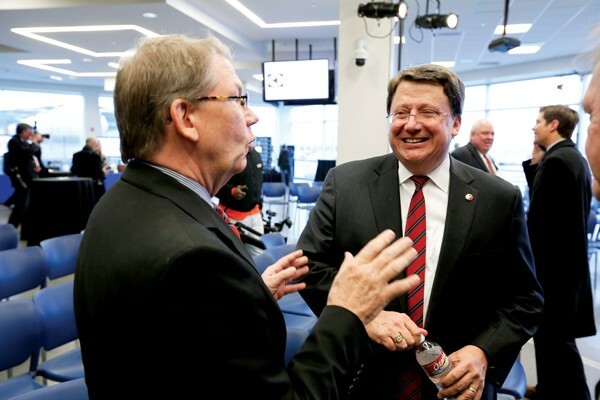 As the 2014 legislature convenes, Senate Majority Leader Mark Norris has a big agenda — and not much in his way. 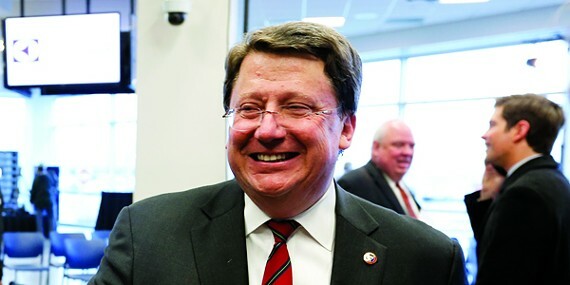 The one thing to remember about Mark Norris, the state Senate's majority leader and a pivotal figure in the firmament of Tennessee's ruling Republican Party, is that he always knows what he wants and is ultimately unyielding in his efforts to get it. However affable and accommodating he seems on the surface, in the end he intends to have his way. A perfect case in point was the determination he exercised over the past three-plus years on behalf of Shelby County's six incorporated suburbs in their effort to extricate themselves from an unwanted merger with the urban school system of Memphis. Norris describes himself as a "problem-solver." 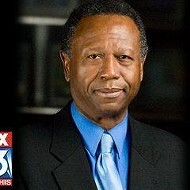 Though at various times, the cause of the suburbs had seemed bleak after the fateful December 2010 decision by the board of the Memphis City Schools (MCS) to surrender the MCS charter, thereby forcing a merger with what had been a suburban Shelby County Schools (SCS) system, Norris never deviated from his determination to solve that particular problem. The first obstacle to overcome was resistance to change on the part of the Tennessee General Assembly, which in February 2011 was still committed to a generation-old prohibition against any new school districts statewide. Norris' way of solving that problem was by drafting a bill that the rest of the political world came to know as Norris-Todd (after his cosponsorship with state representative Curry Todd, a fellow Collierville-area Republican), but that Norris himself invariably refers to as Public Chapter One. 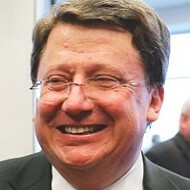 Though the ostensible premise of the bill was, as Norris tirelessly repeated, to "facilitate" the city-county school merger that the MCS board's action had made inevitable, the crux of it, as he now acknowledges, was in "two brief sentences" in the final clause of the bill abrogating the ban on new school districts — for Shelby County only. It was the first measure taken up by the new, overwhelmingly Republican legislature elected in the Tea Party year of 2010, and it was rushed through the legislature with unprecedented speed, leap-frogging over the usual drawn-out process of examination by this or that committee. 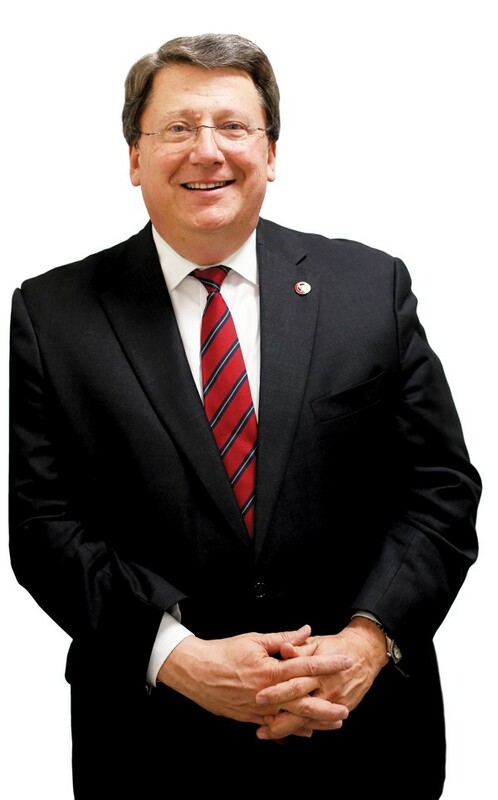 Norris turned the bill into a test case for GOP solidarity, and he mollified the concerns of potentially doubtful members by making the bill Shelby-County specific. As a seasoned and able attorney (currently with the Memphis firm of Adams and Reese), Norris must have known the bill, as written, was constitutionally problematic. (Later follow-up bills to enable and expedite new districts in Shelby County alone were duly ruled invalid by U.S. District Judge Hardy Mays.) But Norris was playing for time. The non-controversial initial sections of Norris-Todd had created that time — a two-year break-in period, during which a blue-ribbon intergovernmentally appointed body, later to be known as the Transition Planning Committee (TPC), would laboriously and conscientiously assemble the components of a merged city/county public-education system. But Norris, looking beyond those efforts to the suburban school independence that his original bill's final two sentences envisioned, would chastise the TPC for focusing on what he now famously described as "mere merger." No more talk of "facilitating" any such thing as that. As Norris describes it today, what he had in mind with the original Norris-Todd bill was a "federated" system like that of the national government, under which the Shelby County suburbs would have roles similar to that of the states: "They would all have their autonomy, they would give up to the unified system whatever they would be comfortable giving up." The outcome of the Civil War, of course, had nullified any such concept for the American states — a concept which derived more from the loose and unwieldy post-Revolution Articles of Confederation than from the more centralized Constitution which followed in 1789, but the point was not so much logical consistency (conceding only such external authority as one is "comfortable giving up?" Really?). It was to solve the problem. The long and the short of it is that Norris — on behalf of his suburban constituency — would ultimately have his way. Whenever existing law, or Judge Mays' actual or potential interpretation of it, seemed to stand in the way, Norris would manage, through his position in the General Assembly and his mastery of the legislative process, to get the law changed. Eventually, he prevailed on his Republican colleagues in the legislature to surrender their doubts and license new districts beyond the confines of Shelby County. What remained was the formidable problem for the independent suburban systems of prying existing school buildings loose from the residual "unified" Shelby County Schools system — which had legal ownership — at something less than prohibitive cost. In the end, the six suburbs — Germantown, Collierville, Bartlett, Lakeland, Arlington, and Millington — reached settlements with the SCS board in late 2013 and got the buildings (all but three in Germantown and one in Millington) at a de facto rate of ten cents on the dollar. Game. Set. Match. How did that come about? Discussing the likelihood of passing new legislation regarding the school buildings during a leisurely meal at Houston's restaurant last week in the company of his wife Chris and this reporter, Norris allowed himself a satisfied smile and a classic understatement: "I never ruled it out, and that served its purpose. It maintained a healthy degree of tension." But that victory smile would soon yield to a look of pure relief from the ordeal. "This was the first Christmas without crisis in three years," he said. Norris recalled the many times "I'd end up with a kitchen full of a group of characters" — the suburbanites and their supporters — all clamoring for a solution. It took a while, but the main thing was that he delivered. Norris delivers. That is the root fact, and it is why he sits at a pivotal spot in state government, where, in his words, he can "triangulate" between the governor of his party, Bill Haslam; the GOP lieutenant governor, Ron Ramsey, considered by many to be as powerful, if not more so, than the governor; and the members of the Republican legislative caucus. The 2014 legislative session began this week with a number of unresolved issues — some of them as potentially thorny as the school-merger problem, but more general and less parochial, a fact welcomed by Norris, though the subject of education still looms large. 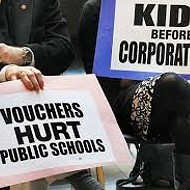 Among the matters to be dealt with: the question of school vouchers, determining to what extent public monies can and should be expended on students at private schools; a controversy over a "common core" curriculum for the schools; and a proposal to strengthen the state's ability to override local school boards on new charter schools. 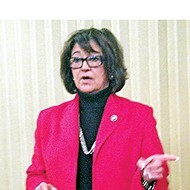 There are health care problems to attend to, including the matter, so far deferred, of whether and how to access federal funds for expanding Medicaid (TennCare); determining the rules of urban annexation; and the lingering matter of whether grocery stores should be allowed to sell wine in competition with liquor stores. 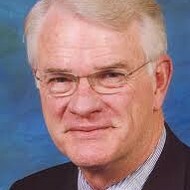 Norris, who began his political career by winning a Shelby County Commission seat in 1994, did not ascend to his present status without significant diplomatic ability. Though he was manifestly a conservative force (mainly concerned with the long-term county debt) on a commission body that was then ideologically balanced, he always managed to get along with his colleagues. There was one exception, long-term Democratic commissioner Walter Bailey, an old-line liberal stalwart: "He was intransigent, tone-deaf, disinterested in what others thought, especially on budgetary matters. He never met a dollar he didn't want to spend. It didn't matter what anybody else thought," Norris recalls, with the air of a would-be irresistible force discussing an immovable object. That was then, before Norris acquired the knack, which he now possesses in spades, of appearing — even sometimes actually being — accommodating to his opposite numbers. I am not suggesting that Norris is Machiavellian, but he is certainly crafty, and he long ago learned how to harness his considerable innate geniality in order to disarm opponents and achieve his ends — an ability that was increasingly obvious after his election to the state Senate in 2000. Norris is one of those people who has no enemies. He gets along because he enjoys getting along, but, as he himself acknowledges, he is "unrelenting" in pursuing his goals. There was a time, from 2007 to 2011, when the Senate was almost equally divided between Democrats and Republicans, and Norris and Memphis Democrat Jim Kyle, both newly ascendant as the leaders of their respective parties, functioned as what Norris now calls "plurality leaders." These days Kyle has few troops to command — only 7 out of 33 Senate members — and thus lacks the bargaining power that he once had. But he still praises Norris as someone who keeps his word and observes the amenities. Norris is as aware as anyone that Democrats today count for very little in the politics of Tennessee, a result he attributes to people's increasing unease with the federal government's centralizing tendencies. The pendulum may swing again, as Norris realizes: "They might pass an Endangered Species act or something. They'll be back. They're like the armadillo." Meanwhile, he says, backing away from the patronizing sound of that, "Democrats make valuable contributions on substantive issues. They can assist us on things like the budget, corrections, and the lottery." But Norris' real task, and his real skill, is to perform a central function in the Republican hierarchy, which, with a two-to-one dominance in both chambers of the legislature and possession of the executive branch, is now and, for the foreseeable future, will be the fact of political life in Tennessee. 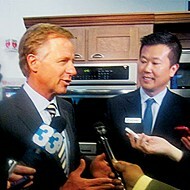 One of his major roles is to sponsor and shepherd through to passage, the legislative program of Governor Haslam. Norris maintains that he does not thereby surrender his own freedom of action. Does he ever question the governor's agenda? "I question the hell out of it all the time. I'm not going to sponsor anything I don't believe in," Norris says. "There's more than you would ever get to see that ends up on the cutting room floor." Norris says he is perfectly willing to confront the governor and say that such-and-such that the governor is contemplating won't go. Nevertheless, he is the ultimate loyalist. Having pushed most of Haslam's agenda last year, he is primed and ready to continue with gubernatorial bills that were left incomplete. One in particular is Haslam's proposal for a modest school-voucher program, confined to 5,000 low-income students in failing public schools. At Haslam's request, Norris yanked the bill at the close of last year's session in the face of persistent attempts by state senator Brian Kelsey (R-Germantown) to modify it upward, both in funding and in the number of students covered. Norris confesses to skepticism about Kelsey's bill, which he regards as a "phantom," an example of the famously brash senator's "shadow-boxing" and says, wearily, "Kelsey is on my team, he wears my jersey, though sometimes it's inside out," and he makes a point of praising Kelsey's research on vouchers: "He knows more on the subject than the rest of us." If Norris is obliged to a pro forma tolerance of some members of the GOP caucus, his regard for Senate speaker and lieutenant governor Ramsey is enthusiastic and unqualified. "I'm his wingman. That's what he calls me," Norris says with evident pride. When Haslam introduced his educational reform agenda in 2011, the idea of abolishing teachers' collective bargaining rights was not included. Ramsey thought it should be and ultimately prevailed over both the governor and House speaker Beth Harwell of Nashville. 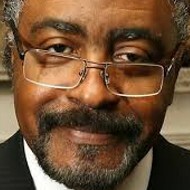 Norris supported Ramsey. 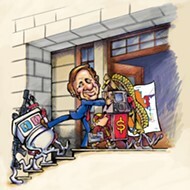 It is clear that Norris veers further right than the governor. He is frank to see Haslam's much-vaunted "Tennessee Plan," a private-sector-focused proposal for a federal waiver to acquire Medicaid expansion funds as "sort of like [Kelsey's' 'opportunity scholarships.' There is no plan." Norris expresses a convincing anguish about the thousands of people who were struck from the TennCare rolls for budgetary reasons by former governor Phil Bredesen a decade ago." There was no hue and cry about it, except for those who were sentenced to death," he says bluntly, adding, "They didn't cry long. Those of us who went through that don't want to go through that again. It was awful." And yet Norris aligns himself with those who oppose acceptance of Medicaid funds under the Affordable Care Act, contending, "I don't believe anybody believes for a second" that the federal government would keep a commitment to sustain at least 90 percent of expanded funding after the fully-funded first three years. Norris is a leader in current efforts to call a "convention of the states" under Article 5 of the U.S. Constitution in order to challenge what he sees as an over-preponderance of federal authority. He is active in a number of pursuits relating to the shoring up of state powers. 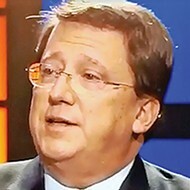 Currently, he serves as chairman of the national Council of State Governments, an organization for which he served as southern regional chair in 2011, presiding over a well-attended conference in Memphis. He also is the current chairman of the Tennessee Advisory Commission on Intergovernmental Relations (TACIR). 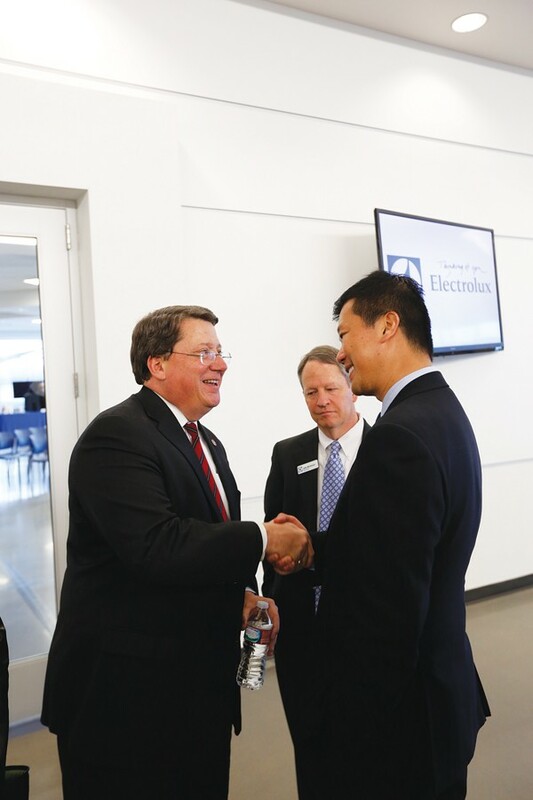 State Senate majority leader Mark Norris speaks with interim Chamber of Commerce chairman Dexter Muller at the grand opening of the new Electrolux plant on President’s Island. Above all, he sees himself as someone who achieves results and professes to be proudest of achievement in several non-ideological areas, including helping complete the Winfield Dunn leg of Route 385 and the Wolf River Parkway, an Audubon Society-sanctioned thoroughfare. He also is proud of efforts he has made in workforce development and on behalf of causes like the Mid-South Food Bank and the Church Health Center. Last week, when Norris joined Haslam and Mayors A C Wharton and Mark Luttrell for the ceremonial grand opening of the new Electrolux plant on President's Island, Dexter Muller, the acting director of the Greater Memphis Chamber of Commerce, made a point of touting Norris' role in attracting the industry to Memphis. "It wouldn't have happened without him," Muller said. There is another Norris besides the able, affable, and determined man familiar to denizens of the civil and political universe. There is the gentleman farmer who owns a large spread out in the Fishersville community, has a modest livestock herd, and, like his wife, Chris, engages in spare-time horsemanship. He is also a zealous advocate of Second Amendment rights and has a respectable armada of weaponry, including a bona fide cannon, built for him by his sons, that he fires off during holiday celebrations. He has a gun-carry permit and takes it seriously. Anyone used to seeing him in well-tailored business suits might take note of his comment that, where he personally is concerned, the default position is "to carry rather than not to carry." In more ways than one, Mark Norris is someone you have to take seriously. Wealth, Poverty, and Race in Memphis — Myths and Misconceptions.